It's Beer Week in Sacramento! Not only do we enjoy drinking beer, we love cooking with it too! And, of course, eating beer food! 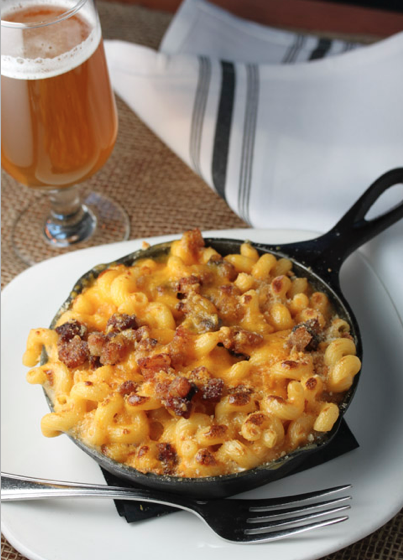 One of our favorite beer infused goodies is Hock Farm's mac & cheese made with beer cheese sauce... yes please! Of course, we highly recommend heading over to Hock Farm and trying Chef Jason Azevedo's mac & cheese, but chef was also nice enough to share his recipe so you can enjoy it right in the comfort of your own home. 2 tb hot sauce – Preservation & Co.
Cook pasta in boiling, salted water for 7 minutes, cool.